Ah, those childhood memories of summer camp. You got to sing songs around the fire, learn how to canoe and make new friends, all while pleading with you parents to let you come home. It’s one of those weird things you experience as a kid. There are moments when you love camp, and moments when you’d do absolutely anything if your parents would just come and get you. Now. Right now. Diane Falanga has gathered some of the funniest letters from camp that you will ever read. 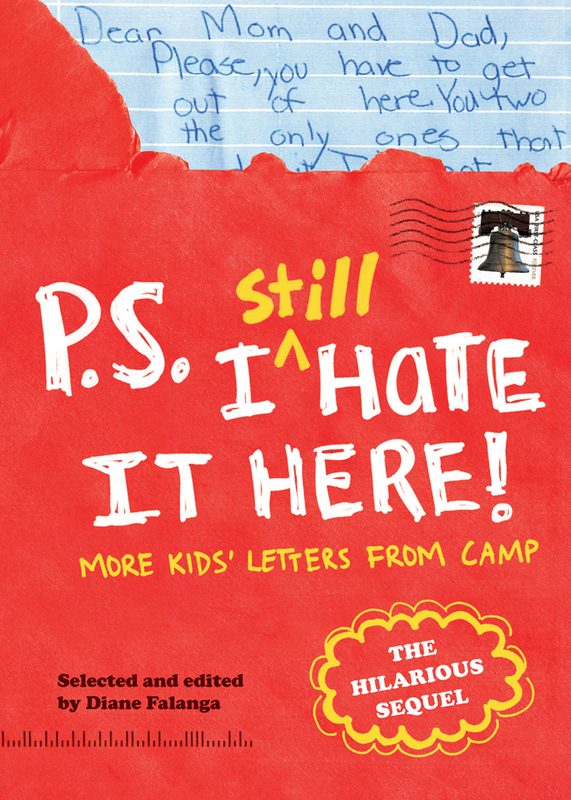 This is actually her second book of camp letters and was compiled from thousands of submissions. It’s not just a re-written compilation of the letters, either. The pages of this book are full of copies of the actual letters kids wrote, complete with grammar errors that would make an English teacher cringe and an abundance of hearts and sloppy kid handwriting. Reading these letters brought back some of my own camp memories, most of them good, but a few of them worthy of sad letters home. I remember begging my parents to come get me and bring me my teddy bear. These kids beg for retrieval along with a list of snacks and pets that should be brought along for the ride. You’ll smile and laugh, and sometimes inwardly cringe at remembered emotions from your own camp experiences. Just remember, when your kid sends a camp letter begging to come home before she dies of bug bites or sun exposure or is murdered by mean counselors, she will live. If these kids survived, just like many of us, so will yours. And you both might just come away from it all with some great memories, mosquitoes be darned. P.S. I Still Hate It Here and the original book, P.S. I Hate It Here each retail for $12.95 and will give you and your friends a good laugh while you’re at the beach and the kids are away.